In Kifissia, the much frequented and affluent suburb in the north of Athens. This historical hotel, dating back to 1936, has been a classic choice for the Athenian jet-set ever since Kifissia was still considered a rural part of Athens – ideal for summer vacations. Today, however, it is the heart of the business and commercial center of the northern suburbs. In 2004, in view of the Olympic Games, the entire city remembers Semiramis changing looks by adopting a pop, modern art esthetic and becoming a “must” destination. 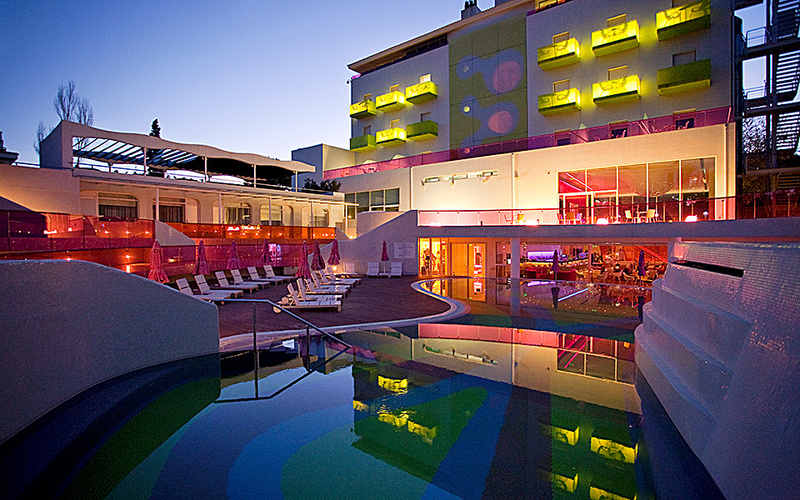 Art patron and collector Dakis Joannou and industrial designer Karim Rashid shared the same vision for an unusual hotel and brought it to life by creating a unique environment with striking fluorescent shades and pop art. The hotel lobby, with the emblematic, lit up YE$ on the wall, work of British artists Tim Noble and Sue Webster, transports us to a New York gallery and reminds us that we are in the ulimate design hotel. Modern travellers will love it! 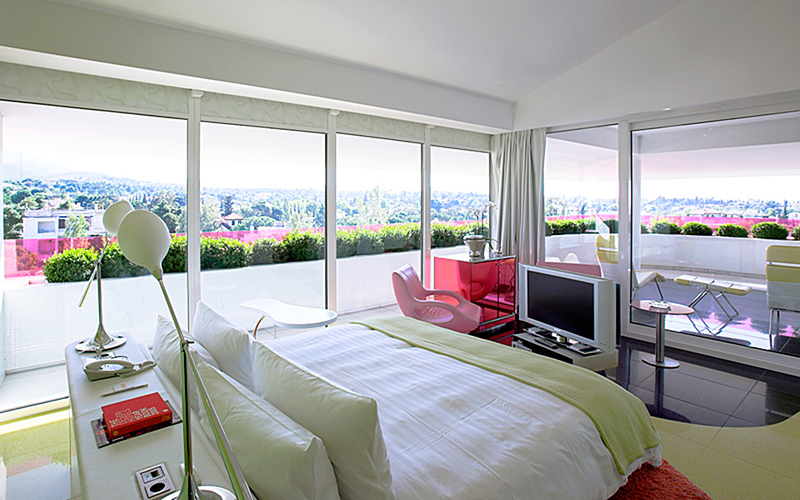 Bathed in natural daylight, many rooms overlook the park of Kefalari. 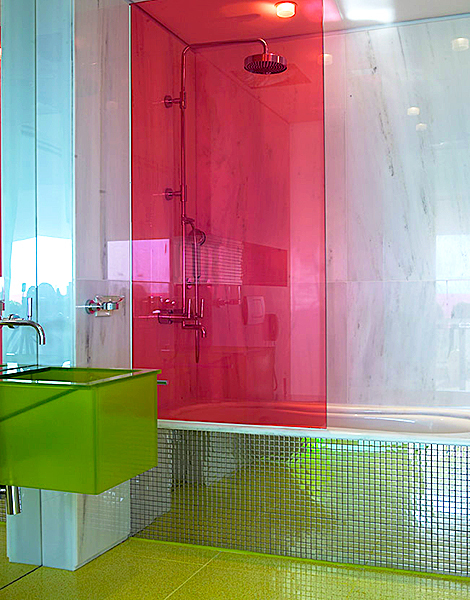 The guestrooms and bungalows of Semiramis, with custom-made carpeting and furniture, glass partitions, rubber flooring and the colorful murals, offer a young, energetic and seductive alternative to more traditional approaches to luxury and style. 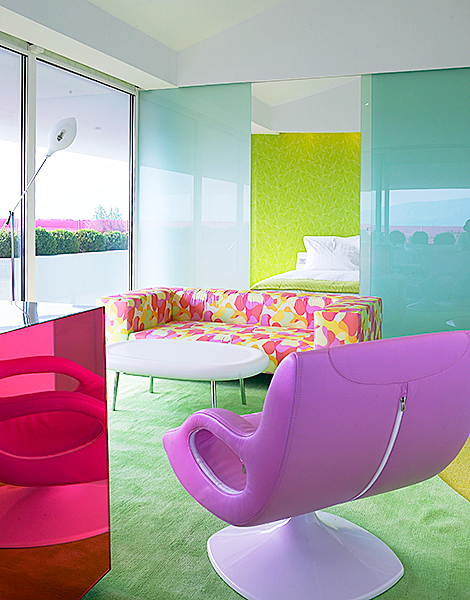 With meeting rooms designed by Karim Rashid, business partners, colleagues or friends are bound to sit up and listen. All rooms have plenty of natural light and are equipped with state-of-the-art audiovisual equipment. Authentic modern art from Dakis Joannou’s internationally acclaimed collection is on display. 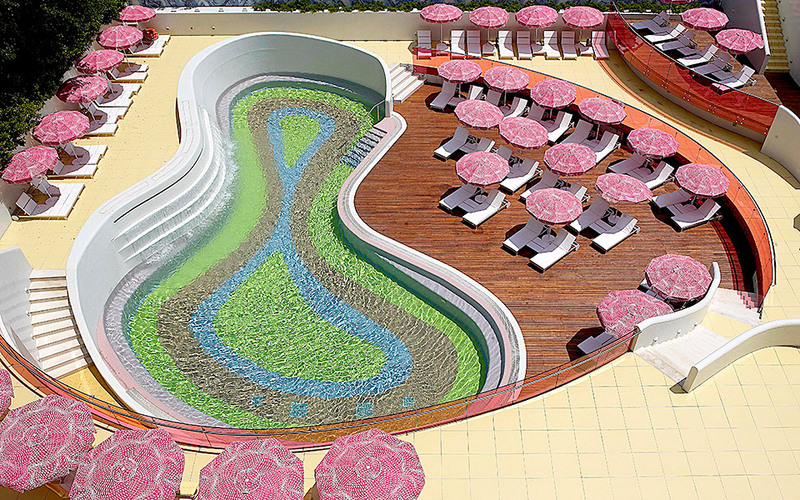 The colorful swimming pool, shaped in one of Karim Rashid’s trademark fluid curves, is a unique creation reminiscent of Miami and a must destination for Athenians during summer weekends. Overlooking the swimming pool, the Gym Club, open 24/7, boasts state-of-the-art fitness equipment and its wellness facilities include a steam bath and massage rooms. Lollipop shades, custom-made furniture signed by Karim Rashid, works of art and installations made with neon light, create a unique ambience at the bar-restaurant of Semiramis – a destination in its own right. The menu includes Mediterranean dishes made with organic products, and the bar serves colorful cocktails with fresh fruit that you can enjoy to the music of the in-house DJ.